Joanne Budd has been appointed head of PR and media relations at Crystal Palace Football Club. Budd joins from The Football Association where she has been head of media operations for more than seven years. Budd has spent two decades with the FA, with previous stints as its comms co-ordinator, internal and external affairs co-ordinator, and as its public affairs administrator. She has managed PR activity for England’s senior men’s side during several World Cup and European Championships tournaments as well as the re-opening of Wembley Stadium, UEFA Champions League Finals and the FA’s 150th anniversary. 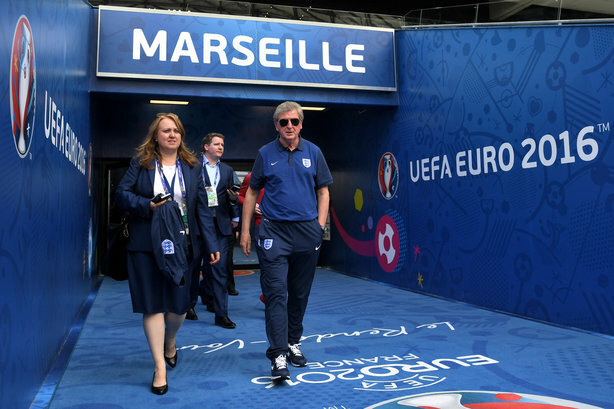 Budd, who is currently in France managing media operations for Roy Hodgson’s England squad during the Euro 2016 tournament, will take up her new role at Crystal Palace in August ahead of the new Premier League season. Budd is no stranger to Crystal Palace, having been PA to former Eagles managers Steve Coppell and Alan Smith in the 1980s and 1990s. Steve Parish, Crystal Palace FC chairman, said: "Joanne has a wealth of experience at the top level of the game and she will be a tremendous addition to the team." Budd said she was looking forward to returning to Crystal Palace. She added: "I’m sure there are going to be some great times ahead for the club."